Professor Richard Bauckham (Ph.D. Cambridge; D.D, F.B.A) was professor of New Testament studies and Bishop Wardlaw Professor at the University of St. Andrews, Scotland. He is a fellow of both the British Academy and the Royal Society of Edinburgh. Prof. Bauckham has published widely in theology, historical theology and New Testament. He is currently working on New Testament Christology and the Gospel of John. After his acclaimed and award winning commentary on Jude, 2 Peter (Word Biblical Commentary) and his interest in the Gospel of John, the arrival of his The Gospel of John in both the New International Greek New Testament Commentary and in Two Horizons New Testament Commentary Series, as well as edited works on John, The Gospel of John and Christian Theology and The Testimony of the Beloved Disciple: Narrative, History, and Theology in the Gospel of John, along with his volume on The Gospel of Luke (International Critical Commentary series) is much anticipated. 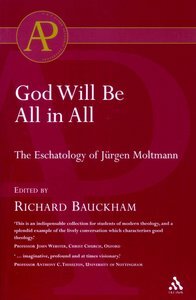 His other published works cover a wide scope such as Jurgen Moltmann, James and Jude the brothers of Jesus, Gospel Woman, Mission, the Bible and Politics, Apocalyptic and Eschatology in the Tudor Period, the Book of Revelation, and the Christian Hope.